Thierry Henry, Gianfranco Zola, Cristiano Ronaldo. These are just three of the stellar overseas talents to have lit up the Premier League. But Sergio Aguero's latest performance confirms him as the best of them all, according to Alan Shearer, the competition's leading scorer. 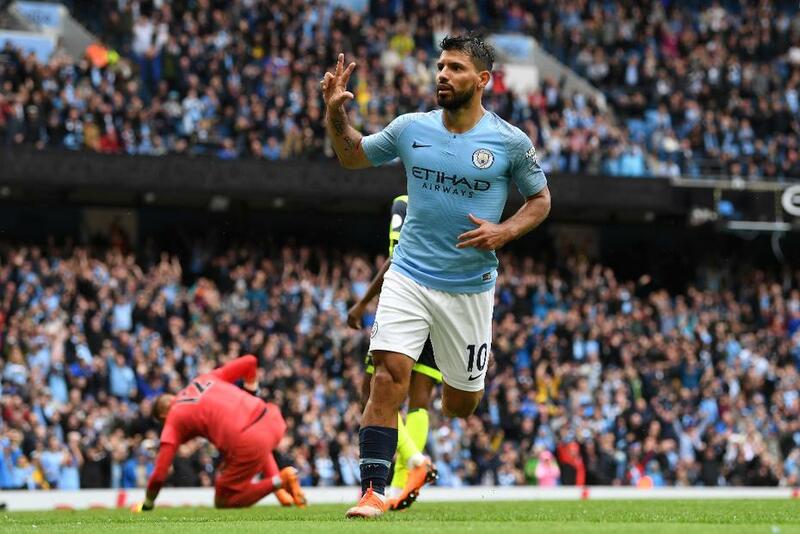 Aguero's ninth Premier League hat-trick for Manchester City at the weekend earned him a place in the Team of the Week named by Shearer, who called the Argentinian the "best foreign player to play in the Premier League". He didn’t make any saves but what an assist! That was the pass of the season so far for Aguero's opening goal. A great display. Where have I seen that goal before? I couldn’t leave him out of my back four after his performance against Huddersfield Town. He was solid and quite brilliant going forward. An outstanding display. Not only scored a goal, but was authoritative at the back. He scored the winner and provided an assist to show his attacking qualities. The little magician ran the game at the Etihad. And what a sublime free-kick. I tipped him as one to watch pre-season and he got his first Premier League goal and again looked at home at this level. At 19 he showed his class despite being on the losing side and was a positive on a disappointing day for Arsenal. He is having no problems settling in at Goodison, again scoring and delivering. He scored a great individual goal at West Ham and was lively throughout the match. He was deadly again. Now on nine Premier League hat-tricks and only two behind me 😳. The best foreign player to play in the Premier League. A great centre-forward with no weaknesses. He was the mastermind behind an impressive defeat of Manchester United on Sunday.